The warriors are Qin Qiong (left) and Wei Chi Gong (right), the pair are posted up on the front doors (traditional Chinese doors are in pair) of the house to protect it from evils. Click here to see the full story of how they became the door gods. 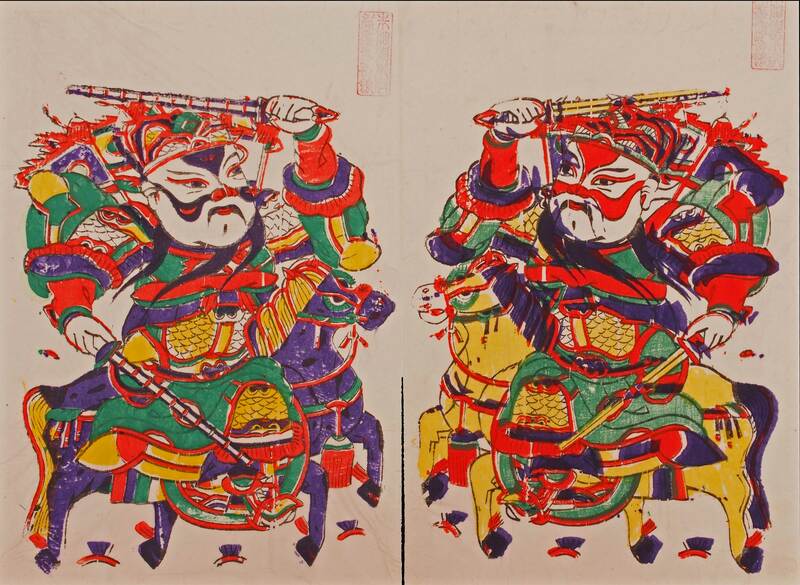 This pair of door gods are of the category “Cavalry Door Gods with Bian Jian”, they are riding on horses and holding the traditional weapons known as “bian” and “jian”. Sometimes they are displayed riding on mythical creatures and holding sacred objects.